KINSHASA, Congo (AP) — With less than 24 hours left in his rule, Congo’s President Joseph Kabila on Wednesday urged the nation to “massively” support incoming leader Felix Tshisekedi after a disputed election that surprised the world by bringing an opposition leader to power. Kabila is stepping aside after more than two turbulent years of delayed elections as many Congolese feared he was seeking a way to stay in office. He praised Congo’s 80 million people: “Thanks to your maturity, the elections unrolled amid calm.” This is the vast central African nation’s first peaceful, democratic transfer of power since independence in 1960. In a brief, late-night address, Kabila urged the Congolese people to unite in a “grand coalition” against what he called the “predatory forces that will band together to monopolize our natural resources.” The country has trillions of dollars’ worth of mineral wealth, some of it key to smartphones and electric cars worldwide, yet suffers from underdevelopment and conflict. Kabila congratulated Tshisekedi, son of the late opposition leader Etienne, who had posed such a charismatic challenge that after he died in Belgium in 2017, Congo’s government did not allow his body to be brought home. His son’s spokesman has said that will be corrected once Felix Tshisekedi takes office on Thursday. Kabila said he will pass on power “without regret” and will do his part to support the incoming president. The Dec. 30 election was disputed by the declared runner-up Martin Fayulu, who went to court to seek a recount while pointing to leaking data attributed to Cong’s electoral commission that showed he had clearly won. Outside court, his supporters accused Kabila of making a deal with Tshisekedi when it became clear the ruling party’s candidate did poorly at the polls. But the Constitutional Court on Sunday rejected Fayulu’s petition, and the Congolese people largely have not heeded his call to peacefully protest. Many have signaled that Kabila’s departure is enough. Since then, African and Western powers that had expressed concerns over the disputed vote have changed course and noted Tshisekedi’s win, if not congratulating him. The United States joined them earlier Wednesday, saying it welcomed the court’s certification of Tshisekedi as Congo’s next president and committing to working with the new government. 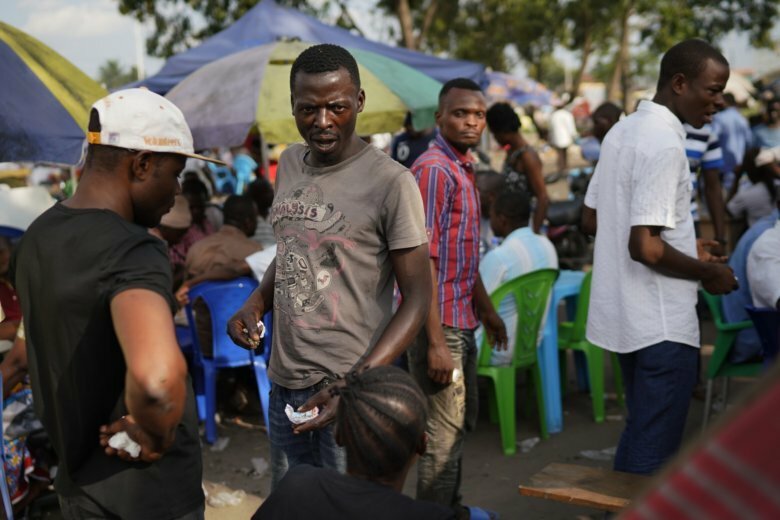 The U.S. also encouraged Congo to address “reports of electoral irregularities” and be inclusive.